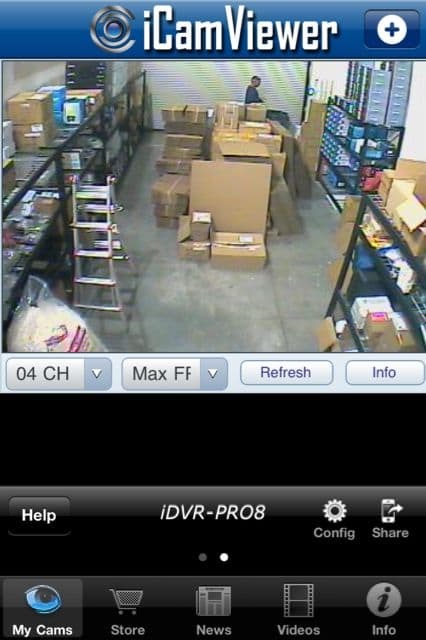 CCTV Camera Pros today launched a new version of the iCamViewer iPhone app for viewing CCTV cameras and IP cameras. 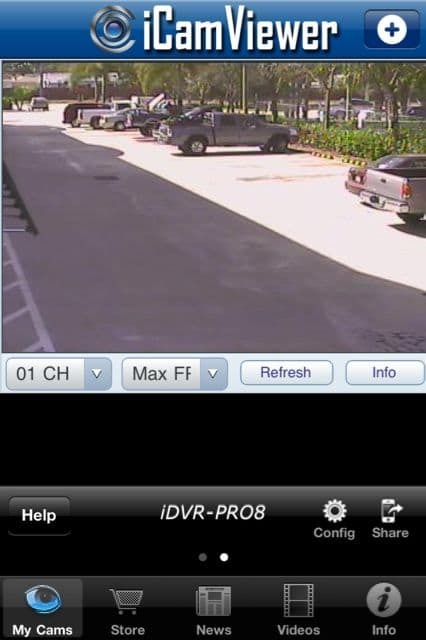 The new version our IP cam viewer app supports viewing 16 IP cameras or 16 iDVR surveillance DVRs. 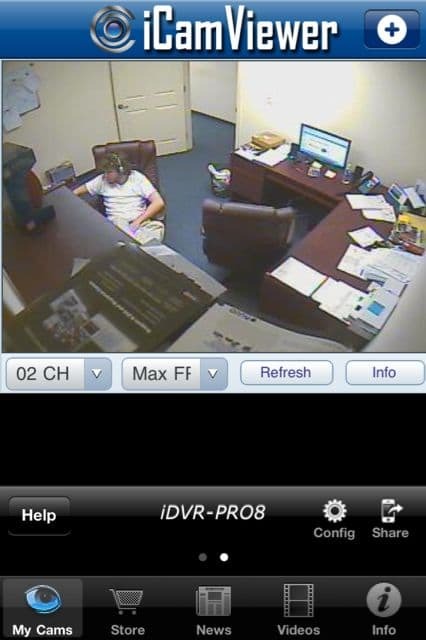 Users can also mix IP cameras and multiple iDVR-PRO DVRs. The previous version of the app only supported remote viewing of 8 devices. Another improvement is that the previsou version used up all 8 supported devices if the user want to view one 8 channel iDVR-PRO8 DVR. The new app version only uses one channel per DVR and the user can switch to different cameras in the single DVR view. 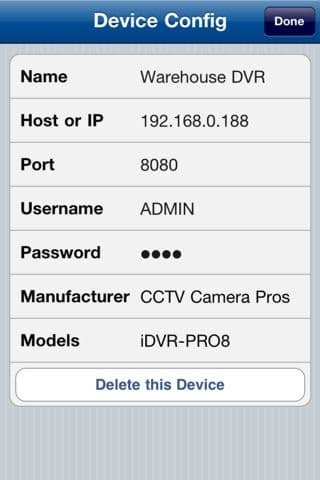 This means that users can configure up to 16 iDVR-PRO8 or iDVRPRO16 model CCTV DVRs in the app (up to 256 cameras when using 16 iDVR-PRO16 models).